Travel Information for Newfoundland and Labrador. Tourist Attractions, Places to Visit, Hiking Trails. There's an old adage that's used across Canada. "If you don't like the weather... wait". It applies in Newfoundland just about as well as anyplace else. We like to visit little museums. We try to schedule them for rainy day activities. Often the small community museums will be staffed by volunteers who can give you a guided tour. They also know everything there is to know about the community, so often we will pick up tips on trails or other points of interest. 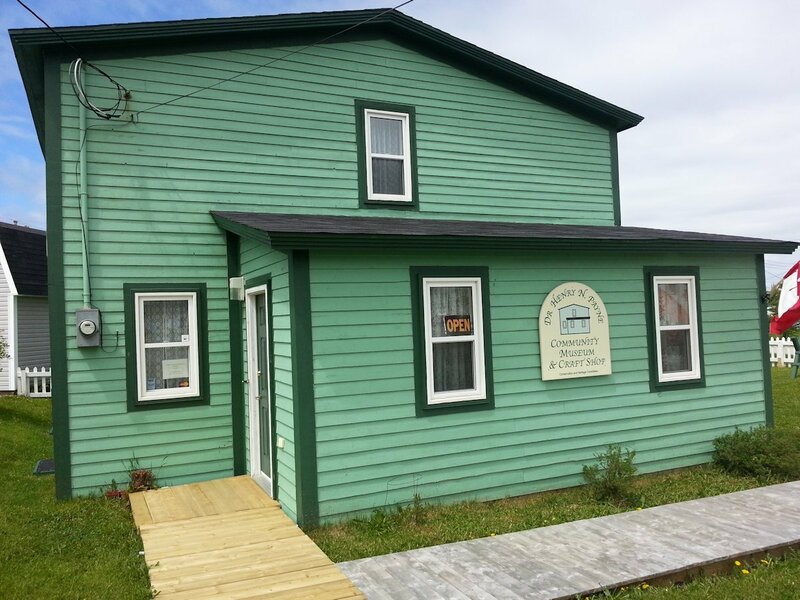 Take The French Ancestors Route around the Port-au-Port Peninsula. It's one of the prettiest drives on the island and it will bring you to Mainland, home of the Sister's Dream Schoolhouse. Many communities on the peninsula have two names and French populations. La Grand'Terre (Mainland) also has a community park next to the museum with a community bread oven. We visited in June. The museum had not opened yet, but we were lucky enough to run into the curator who gave us a private tour. She is from nearby Black Duck Brook (L'Anse a Canards). The museum has two main rooms. 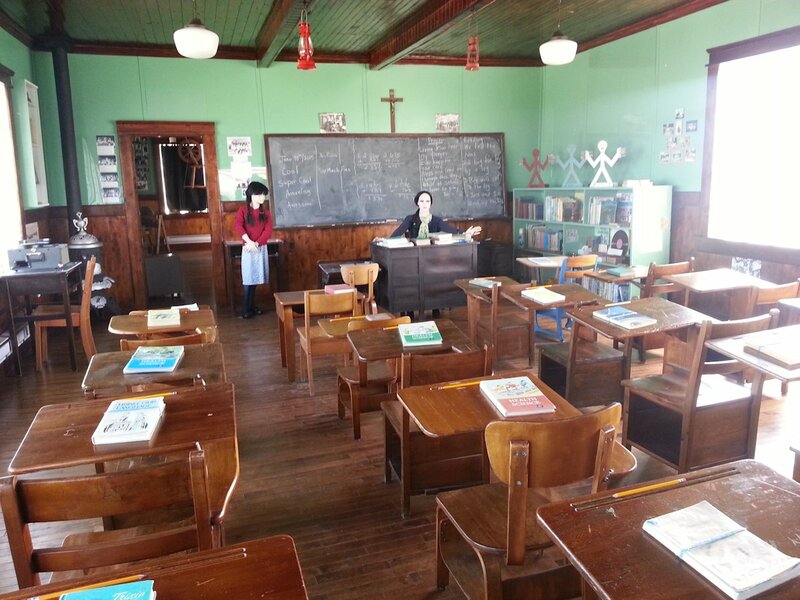 One is a replica of the schoolhouse. 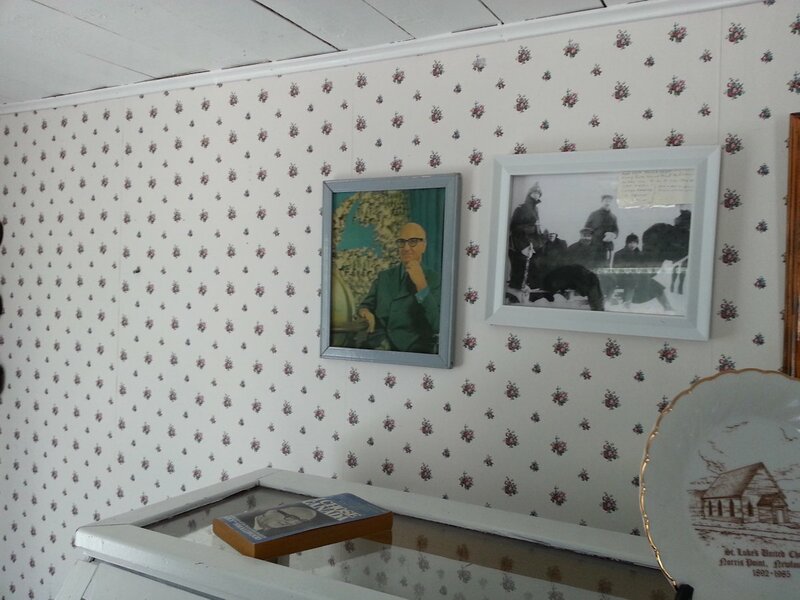 The second room is full of community photos and artifacts. The view from the schoolhouse window is stunning. It's on the Gulf of St. Lawrence looking out to Red Island, which was populated during the time of the French Shore. 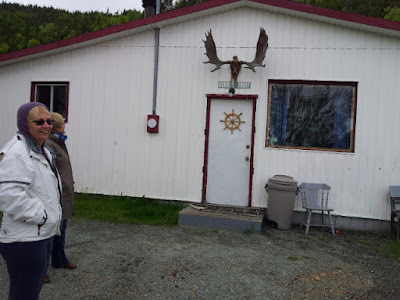 As you drive into Norris Point you will see Jenniex House on your right at the top of the hill. It's a traditional salt box house that was moved to this location as a museum and craft shop. The parking lot for Jenniex house is one of those 'Kodak Spots' in Gros Morne. The view of Bonne Bay and The Tablelands is spectacular. Broom Point is in Gros Morne National Park. It's just north of Western Brook Pond on the Gulf of St. Lawrence. The Parks Canada staff that did our tour were amazing. They had worked in the fishery before they became park interpreters. There are boats on display along with all kinds of fishing gear. They show you how nets and lobster traps are made. They show you how a lobster trap works. There is also a small cabin that two families lived in during the summer fishery right up to 1975. Dr. Payne's house was a little larger and better appointed than other homes in Cow Head. Dr. Payne used a generator to produce electricity before hydro arrived in town in the early '60's. Dr. Payne brought the first vehicle to Cow Head, a Chevrolet pick-up truck. The museum also has a craft store with a good selection from local craftspeople. The Poacher's Lounge Museum is in Selby Parson's backyard. Sharlene our hostess at Aunt Edna's Bed & Breakfast on Little Bay Islands walked us down one morning to check it out. Selby has accumulated all kinds of interesting stuff including my favorite, snowshoes for horses. Twillingate is one of the top destinations in Newfoundland. If you are putting it on your itinerary, make sure you stop at the Prime Berth Fishing Museum. It's just across the causeway that takes you onto Twillingate Island. The photo above shows the results of a cod splitting demonstration. The cod has been salted and the liver gets thrown in that small bucket by the window.